Schools, libraries, writing groups, booksellers, and writing conferences often invite groups of authors to speak at a single seminar as part of a panel. 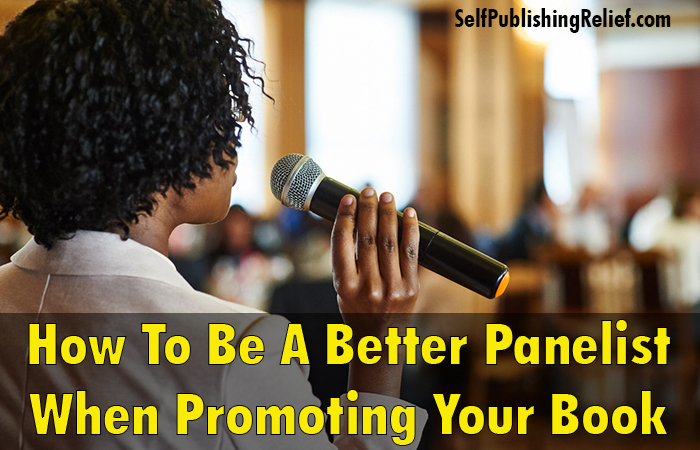 Participating in a panel (or organizing a panel of fellow authors) is a smart way to promote your self-published book (or your writing in general). What Is A Panel Of Authors? How Do Panels Work? If you’ve been invited to sit on a panel, here’s what to expect. You and a handful of other speakers will be seated at the front of the room. Often, you and your fellow panelists will be speaking on the same theme from your varying perspectives. For example: you might be invited to join a panel of authors who have self-published; or you might be invited to join a panel of authors who write in the same genre. A moderator will introduce you and your fellow panelists, or invite you to introduce yourself. Then the moderator will ask a question to the group in order to get the conversation started. Sometimes, the moderator will direct the question to a specific writer and give each panelist time to answer; in other instances, the moderator will allow panelists to answer as they please. Eventually, the moderator will most likely invite audience members to ask questions and will spend the majority of the seminar acting as a liaison between panelists and the audience. What Can You Do To Improve Your Speaking Skills As Part Of A Panel Of Authors? Jump in. You have to be willing to speak up to participate. Even if you accidentally interrupt another panelist, don’t worry. As long as your moderator is good, he or she should give you time to add your voice to the discussion. Refer to your author website or social media profile in a natural way. Chances are, most people in the audience are connected to the Internet via cell phones and computers of all shapes and sizes. Point your audience toward digital freebies, contests, and relevant blog posts whenever possible in order to increase the odds of adding new names to your author mailing list. Pay attention to your time at the mic. While some writers might be too shy to speak up, other writers run the risk of eating up an inappropriate amount of time. If you’re talking too much, ease up a little. Being perceived as likable (as opposed to out of touch or arrogant) is important if you want to grow your fan base. And if you’re talking too little, find a way to chime in. That’s what you’re there for! Learn more about public speaking tips for writers. If possible, get out from behind your desk. If you’re not limited by the microphone placement, consider moving so that the desk or podium is not between you and your audience. This small movement can foster a more relaxed attitude and make you appear approachable. Get visual. If possible, use posters to share your book cover art to help audience members remember your name and book. Also, consider making your own name card. Often, the name cards printed by some writing organizations are too small to read from the back of the room—if organizers bother to give you a name card at all. What Should You Do When You End Up On A Panel With A Pushy Author? You may wind up sitting on a panel with an author who isn’t a team player. Ideally, the moderator should address the issue by subtly directing the conversation toward other writers on the panel. But that doesn’t always happen. If your moderator has left you and your fellow panelists to fend for yourselves with a pushy author, you can either give up a little (and accept the fact that said author is going to make a fool of him/herself by not playing nice)—or you can push back a bit and be more assertive. That might mean interrupting, answering first, or talking more loudly. But remember: The most important thing is to be sincere, relaxed, and true to yourself when promoting your self-published book. 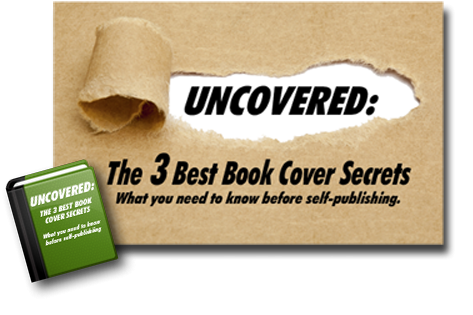 Question: Have you participated in a panel of book authors? Share your best tips in our comments section! As a psych nurse and coordinator, I am a great people person and have no fear of public speaking. That said, an over zealous, pushy author with a swollen ego is a definite turn off. A natural upbeat personable approach works best…not too stuffy or too laid back either. I speak to my audience as if it’s the girls coming by for some tea! Visuals are also the key. It’s worth your time in gold to make up some flyers, colorful and informative, for your book and/or website, detailing your contacts, list of works and any upcoming appearances or publications. What you wear is also a factor..I tend to be a bit eccentric and colorful, but each person has their own style..again..too stuffy or wild won’t play well. **always have a slew of business cards. #a little humor thrown in also brakes the ice and helps the nerves…that’s just my helper.